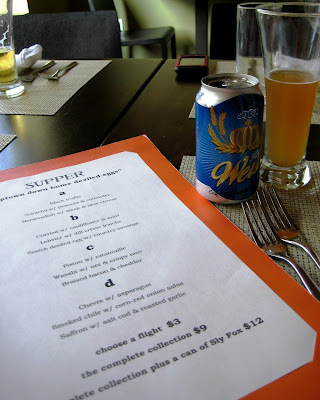 July is Picnic Month, and on Wednesday nigiht, Supper kicked off their picnic month with a special happy hour. What was so happy about it? 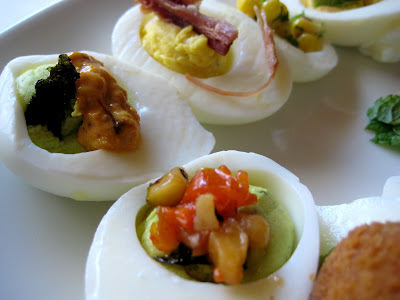 It was a deviled egg happy hour. 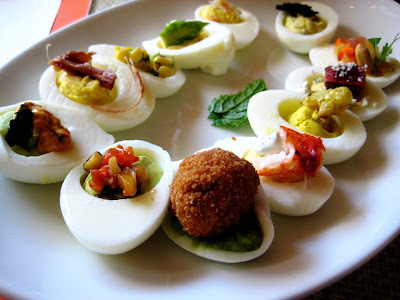 There were 12 different deviled eggs on the menu, along with specially priced Sly Fox beers in cans. It is a picnic theme, so what’s better than beer in cans? Supper does normally have deviled eggs on their menu. They just expanded their selection a bit for picnic month. Some close ups of the wasabi with uni and the ratatouille. More closeups of the cod and the salsa. I actually enjoyed them all. The filling of most were a bit on the salty side. 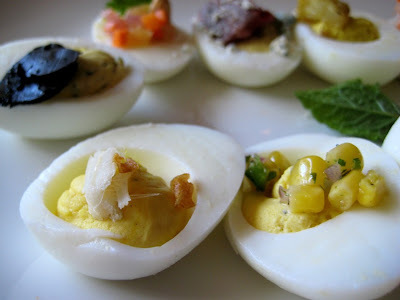 Much saltier than I am used to for deviled eggs. For the truffle one, it was a bit too much truffle. It’s better to just keep most of the truffle out and crumble just a teeny bit on top of the egg. There’s also truffle in the egg mixture as well. I don’t like stinky cheese, but the steak one wasn’t overly overloaded with the roquefort. The salsa one was excellent, so was the ratatouille. The fried country sausage one was surprisingly good. At $9 for all 12 and $3 beers, this was fun, tasty, and cheap.